James Alfred Nobbs, 82, passed away Nov. 14, 2017, after a brief illness and while surrounded by family. James was born on Sept. 4, 1935, in Oroville, California, and was predominantly raised in Redding, California. He is survived by five siblings, Betty Cobb, Martha Schroeder, Lori Reese, Charles Reese and Tena Knox. James joined the U.S. Marines at the age of 17, and subsequently started a career in law enforcement in Red Bluff, California. 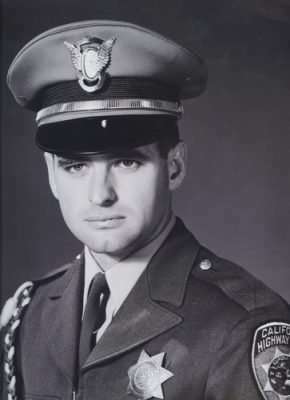 He would later join the California Highway Patrol in a career that spanned 30 years, resulting in a promotion to sergeant, and where he specialized in accident investigation and firearm instruction. He drove the highways as a patrolman in Salinas, Death Valley, Redding, Eureka, El Centro, Susanville and Quincy. He earned his B.A. degree and studied war history in his spare time. He is predeceased by his eldest brother, William Nobbs; and his wife of 40 years, Celia Nobbs. He is survived by his wife of 20 years, Susan Nobbs; four children, William Nobbs, Margaret Morrow, Andrew Nobbs and Sally deSoto; two step-children, Kathryn Souza and Matthew Souza; 12 grandchildren, Cory Baker, Korja Giles, Dylan Liebgott, Jakob Giles, Cydnee McGuire, Cole McGuire, Jared Morrow, Hunter Nobbs, Quinton Krueger, Kasey Anderson, Sopie Souza and Maddie Souza; and one great-granddaughter, Arya Liebgott. James will be missed and lived a rich patchwork of life that cannot be captured by a mere summary. Services will be held at 11 a.m. Saturday, Dec. 16 at St. Paul’s Lutheran Church, 105 Ash St., Susanville, California. Alvin Lawrence Beauchman was born in Poplar, Montana and moved to Herlong, California in 1951 with his parents and siblings. He graduated from Herlong High School and attended college in Billings, Montana. He returned to Herlong and retired from Sierra Army Depot. He has been residing in Reno, Nevada after losing his wife, Georgette Schmidt, of Taylorsville, California. Alvin was preceded by his parents Michael and Anna (Dolly) Beauchman, and his sisters, Dorothy DePaoli and Gloria Beauchman. Alvin is survived by his stepdaughters, Mary Rogers and Suzetle Reed and her son; Alvin’s siblings, Michael Beauchman, Lee Beauchman, Ron Beauchman, Delores Reddick, Sharon Beauchman and Brenda Fletcher. Also seven nephews, 10 nieces, 12 great nephews, 15 great nieces, two great-great nephews, and two great-great nieces. Ruby Woodward passed away Dec. 3, 2017 following complications from a stroke at the Seneca Hospital Long Term Care Unit with her son Phillip by her side. She was born in farm country in Howell Township, Missouri Oct. 19, 1927 to Fred J. Pierson, Sr. and Ruby Augusta Pierson. The family moved to Seneca, California where her father worked in the then active gold mines. Ruby attended schools in Seneca, Greenville, Susanville and Standish California. Fred then gained employment with Pacific Gas & Electric Company at Caribou, California as a powerhouse operator. It was in Caribou where Ruby met the love of her life, Miles Woodward, and they were married at Caribou where they lived following Mile’s service in WWII. They had two daughters, Shirley and Lucille, and one son, Phillip. From there they moved to PG&E camp Rock Crest in Paradise, California from 1956-1960 when they returned to the Feather River Canyon at PG&E’s Camp Cresta, then to PG&E Camp Rodgers Flat and then to Hamilton Branch following Mile’s job as a powerhouse operator. Miles retired from PG&E and they moved to Westwood until Ruby’s death. Ruby was a lifelong housewife and mother. 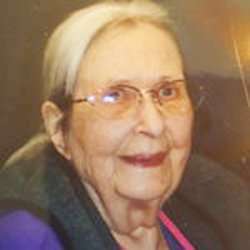 She enjoyed family life, cooking, sewing, camping, deer and quail hunting, leatherwork and fishing. She always put her family first and was the kindest and most generous person one can imagine. Pierson, Sr.; and brothers Fred Pierson Jr., Orphic Pierson, Sr. and David Pierson. Ruby is survived by her daughters, Shirley Melton of Crooked River, Oregon; Lucile DeJanvier of Challenge, California; and son and daughter-in law Phillip and Tonia Woodward, of Hamilton Branch. She has three grandchildren, Tish, Cheryl and Mike and five great-grandchildren. Born May 26, 1938 at Riverside Hospital in Susanville, California. Entered into rest Dec. 3, 2017. He was a graduate of Lassen High in the class of 1956. He was active in all sports. The highlight of his week was watching the Lassen High football games. As a son of Basque immigrants, Esteban and Dolores Landa, he was proud of his Basque heritage and was always ready for a trip to Nampa and Boise, Idaho to visit his Basque relatives and attend Basque festivals. After graduation he worked in the lumber industry for 37 years until his retirement in 2005. He was a volunteer at Salvation Army and the Food Bank for the last several years. Janesville, Phillip and Lori, of Susanville; five grandchildren, 12 great grandchildren and numerous nieces and nephews. He was preceded in death by a great granddaughter, Erica, and a son, Keith, his first wife, Rea, and his second wife, Anita. Gravside services were held at Lassen Cemetery on Dec. 11, 2017. Al was a member of Sacred Heart Catholic Church. Donations can be made to Sacred Heart Caring and Sharing. We will see you in heaven, Al!